Hi all, and thanks for checking back on another great Friday! This Friday, I present a comic that some of you may know of. 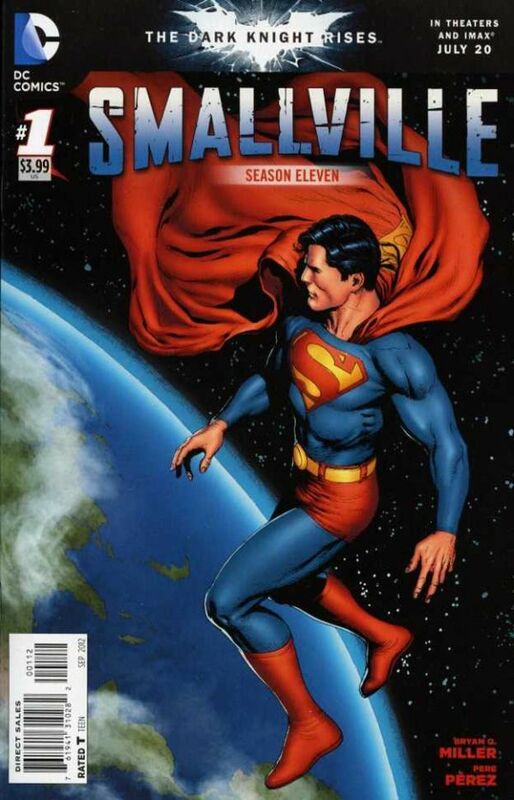 It is Smallville Season 11, the 2nd print variant by Gary Frank. I was actually a fan of the show (even though towards the end it was getting painful to watch), so when this comic came out, I did pick it up. The series was not too bad, and it finally had Clark in the suit. I have always been a Frank fan, so that helped also. Now we get to the part of Covers from the Unknown, which even surprised me about this comic. I was trying to find the print run, and it shows up nowhere. So, is it 1k? 500? Somewhere in between? All I can say is it is low, very low. And this comic is somewhat of a ghost to find. Along with that, the price tag is also up there already. I have no reason to think this comic will suddenly surge, but I do believe sooner or later Frank will get his due as a great artist. If you can find one, possibly under $20, grab it. It will pay off eventually. Great eye Jason! Gary Frank is an amazing artist. And this cover is so eye catching. Frank is def under rated. Awesome tip as usual, thanks!